What if there was a reusable self-cleaning water bottle while at the same time purify the water inside? Introducing, The QUARTZ bottle, the world’s first mercury-free self-cleaning water bottle that uses UV-C Light technology to neutralize 99.9999% of odor-causing germs and bio contaminants from inside the bottle. Can you think of an item with a reputation for its negative effects on our body and its contribution to the destruction of our environment? We’re all too familiar with this common material… plastic, coming into contact with it multiple times per day. We know it’s not the best, yet we still find ourselves using it, take for instance water bottles. Many people have shifted away from plastic water bottles and have moved towards a sustainable option, one that is better for the environment and our health. 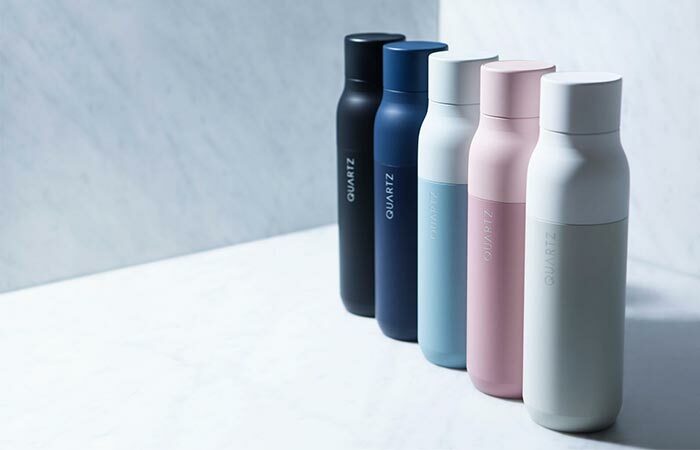 Swapping plastic water bottles out for reusable ones is far from a new concept, but are those reusable bottles we’ve now substituted really as good as we think they are? Not only do reusable bottles tend to be difficult to clean but they are notorious for trapping unpleasant odors and collecting germs. Introducing the QUARTZ bottle, a self cleaning and reusable water purification bottle that uses UV technology. Combining innovative Digital UV-C Technology and 280 nanometer UV light, the QUARTZ bottle works by breaking down the chemical bonds in the contaminants DNA, resulting in bacteria and viruses such as E.coli Salmonella, Staph, and MRSA to be killed. The LED microchips in the QUARTZ bottle are far superior to the traditional mercury glass tubes used in mercury-based bottles. These microchips are smaller, energy efficient, less toxic and able to be controlled digitally. 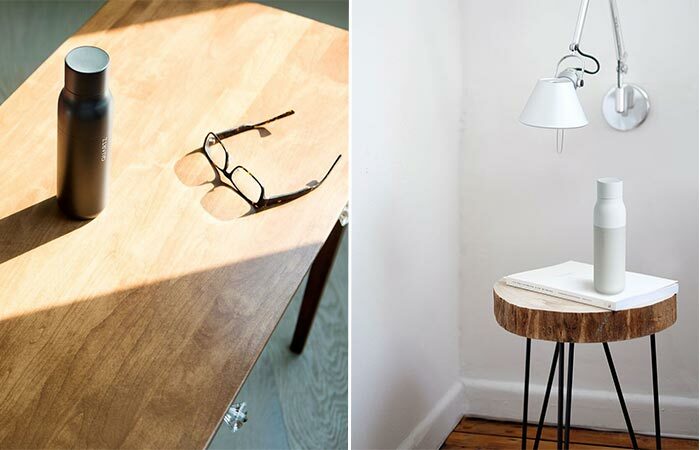 Simple to use and easy to recharge. When your battery is running low, charge the cap via the USB for roughly 2 months more of usage! Why switch to the QUARTZ bottle? With the same UV-C light used in the sterilization of room surfaces in hospitals, the UV light in the QUARTZ bottle triggers and photochemical reaction that destroys the DNA of harmful contaminants. The Quartz bottle presents many benefits for the environment, your health and your wallet. QUARTZ UV Light Water Bottle Kills it! Eradicate bacteria and germs even before they have a chance to spread; whatever is lurking in your water bottle is no match for the QUARTZ. You can activate the digital purification system with the simple push of a button. This sustainable water bottle option will allow you to have access to clean and safe drinking water on the go in 60 seconds. 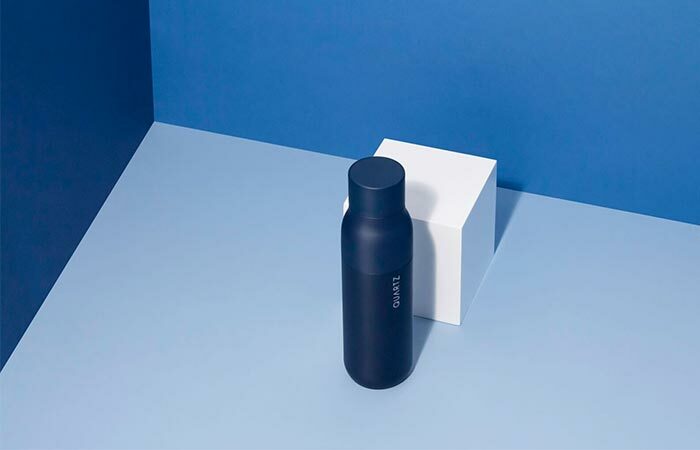 Innovative technology combined with inspired design make this bottle the best water purification system for the digital age! If all this technology and innovation isn’t already enough, you can feel good knowing that with every purchase of the QUARTZ bottle, 1% of all proceeds go directly to their partner charity: water support.